Politics is war, but in America one side is doing all the shooting-liberals. Shell-shocked conservatives blame their failures on the media or unscrupulous opponents, but they refuse to name the real culprit: themselves. In a new book that will shatter the complacency of establishment conservatives, David Horowitz shows how Bill Clinton’s generation, having mastered the art of political war, has spent the last ten years clobbering conservatives in and out of government. The best-selling author of Hating Whitey and Other Progressive Causes has the strategy to fight back. The Democratic Party’s recent electoral dominance is due not to its theft of Republican issues, but to its superior grasp of the nature of political war. Horowitz opens his book with the six principles of politics that liberals understand and conservatives do not. He next warns against the essentially liberal inclination to supervise the lives of a “helpless” citizenry. This “Puritan impulse” promises shipwreck for conservatives who fail to keep liberty as their watchword. The success of the left is nowhere more evident than in the politics of race. Revisiting a recent controversy in which Time branded him a “real live bigot,” Horowitz probes an ugly strain of left-wing racism and reflects on the prospects for true racial justice. He concludes with a profile of the radical mentality-hidden but real-of the American left. In 1972, the bomb-throwers took their battle from the streets into the McGovern campaign and became the activist core of the Democratic Party. A genuine ideological left thus entered the heart of America’s political culture. 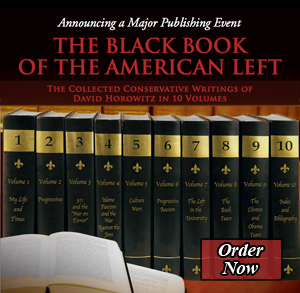 Once a notorious radical himself, David Horowitz understands the mind of the left better than any other conservative. The Art of Political War is an indispensable guide for the battles of the campaign season and beyond.